MainConcept Reference is the successor of the renowned MPEG and H.264 Encoders. 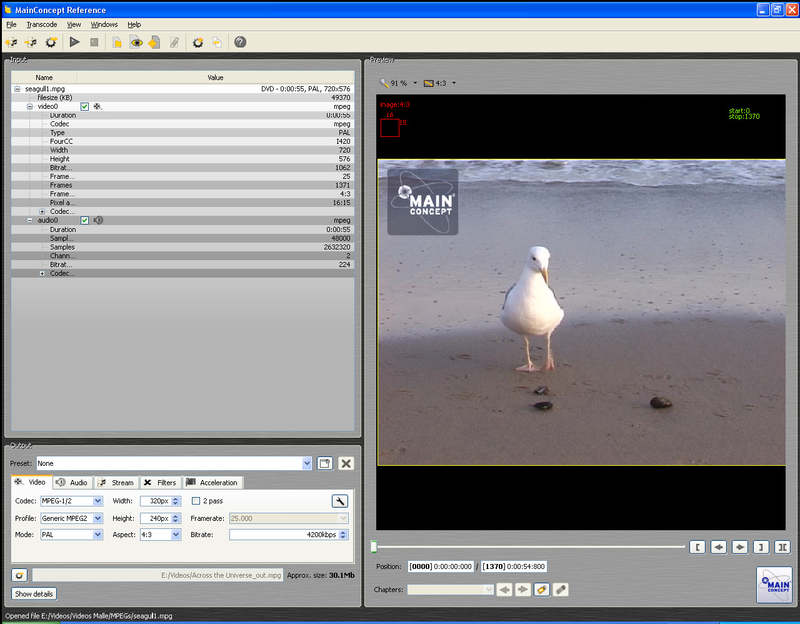 The new transcoding application combines almost all available MainConcept codecs. It enables you to convert videos in numerous formats. For years, storing digital video footage has been a big challenge because of the large amount of disk space required. Various compression methods have been created to reduce the space requirements, but often at the expense of quality. But what is the most useful format in video, production and broadcast business? H.264/AVC? JPEG2000 or DVCPro? The new VC-1 or the approved MPEG standard? Now MainConcept presents the its new Encoder application which combines all popular codecs and renowned formats. And the user decides which formats or codecs he really needs!